I have taught quite a few bass students even though I am primarily a guitarist. I have years of experience playing myself and have been bassist in various bands. I have a deep knowledge of the fretboard and music theory so if you want to learn the neck better I can help you out. My specialties are Pop, Blues, and Jazz. If you like blues, we will learn to play a song pretty much the first day and then we learn theory, different riffs, and more songs as we go on. We also can work on improvisation and accompanying other instruments. If Jazz is your focus, we will start doing some blues as that is fundamental and you can learn songs fast. Then we'll branch out into arpeggios and some theory. After that we apply the theory to actual jazz standards and learn how to create cool bass lines over chord changes. If you want to do pop/learn songs you love, I will help you learn good technique and we'll learn things on a song by song basis. No matter what style you want to learn I can help you reach your goals, so if you have a clear idea of what you want, I'll personally tailor my lessons so you can reach those goals as fast as possible. Jaxon delivers an exceptional lesson experience and ranks in the top 15% of our teachers nationwide. 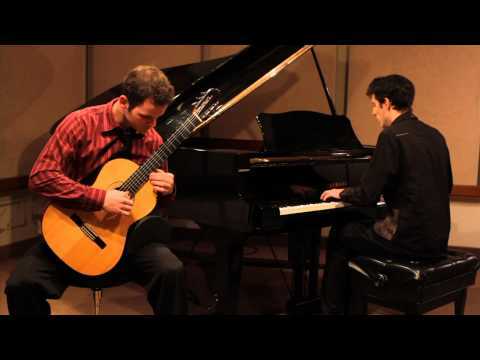 Jaxon the Guitarist: I am a Doctoral Guitar Major at USC studying classical guitar. I have been playing the guitar for over 20 years and teaching for 15. My main style is classical, and due to the technical training I have had since I was very young, it has been very easy for me to learn and master other styles such as Flamenco, Rock, Jazz, Blues, Pop, Country. I have a passion for performing and have played hundreds of solo and ensemble concerts. As a classical performer I have won prizes in numerous competitions, including the Pacific Guitar Competition, San Francisco Guitar Competition, Sierra Nevada Competition, and the OSAA Oregon State Competition. I have played concerts all over the United States as well as in Spain and Mexico. As a performer of other styles I have played in many original and cover bands and have won high school and University level battle of the bands competitions. I was a Northwest regional finalist in Guitar Center's "King of the Blues" competition as well. I recently won a Fulbright Scholarship to study Spanish and Flamenco Guitar in Seville, Spain for 2015 and 16. Teach private lessons and classes to USC guitarists. Work with Aspen Music Festival and Lead Guitar program to start classical guitar programs in school in Aspen, CO and surrounding areas. I also teach the teachers in the valley how to effectively teach classical guitar to kids. In addition to Aspen, I travel to other states working with Lead Guitar to do the same thing. Taught guitar to Undergraduate Music Majors at ASU. Received a full tuition scholarship to do so. Have been background checked and fingerprint cleared. This is a recent video of me playing a modern classical piece by Andrew York. This is a recent video of me performing a piece originally written for keyboard but arranged by me for guitar. Very good instructor. Excellent communication skills and very talented. My first lesson he did a very good job of refreshing my memory as someone who has been out of the music world for 13 years. Look forward to more sessions with JW. Excellent instruction. Great fundamentals. Happy that the instruction platform works so well. Jaxon is amazing. This is exactly the structure I was looking for in a guitar teacher. I am extremely happy with my first five lessons. I feel that my instruction is individualized well to my short term goals, which is to develop a solid theoretical foundation that enables me to understand compositional approaches and methodologies and prepare me to create my own compositions and arrangements. Currently the format of our lesson is to analyze/discuss a piece in detail with a compositional or arrangement exercise to reinforce the main techniques of the piece. (which is reviewed at the subsequent lesson). The exchange of ideas (as well as the exercises) have resulted in me learning something fun and interesting every single lesson. I highly recommend Jaxon as a music theory instructor. Jaxon is the most motivating as well as competent and friendly guitar teacher my 16-year-old son has ever had, and he has had two previous guitars teachers that were very good. As a professional in the music industry in Hollywood for a very long time, I can assure you that Jaxon is extremely versatile and knowledgeable in all styles of guitar performance, be it classical, electric rock or blues, and I"m sure many more acoustic guitar styles that I have not heard him demonstrate. Take it from a music professional......you can't go wrong in having Jaxon teach you or anyone in your family. Initially, I received the quintessential guitar lessons, complete with classical guitar exercises. I then developed an affinity for classical guitar, but I couldn’t journey further into the style because my training was limited. I can happily say that I have not only been able to overcome my plateau but also found the teacher who can shape me into the guitarist I aspire to be. I’m being taught via video chat but the lessons are nothing short of insightful. Your dedication as a student with Jaxon will take you far. Take the first lesson and you’ll see! One word to sum up my first lesson: FANTASTIC. He's absolutely amazing and super talented!! Great instructor! Moving at a logical and achievable pace. Very enjoyable, I can see the improvement. Awesome personality! Has a great way of explaining things to help you learn. Fun to work with. Jaxon has been awesome teacher. He knows what he is talking about and can actually teach it in simple way. Jaxon is a wonderful instructor and very patient. I highly recommend him!! What I've seen from Jaxon after a few lessons is that he is very attentive to detail and takes his craft seriously. He focuses on fundamentals and watches your technique carefully and makes sure to correct them when he sees you drift back into bad habits. He is very personable and flexible as well. I would highly recommend without reservations. It goes without saying that Jaxon is an outstanding teacher - I think that anyone who studies with him would agree. Both Jaxon's verbal instruction and his playing demonstrations are clear and well articulated. His ability to select interesting repertoire seems limitless, for even an advanced student such as myself. He will guide you with techniques and tips while also keeping in consideration your own interests and goals. I started playing the classical guitar for just fun years ago, and lived in such remote areas that finding a teacher was impossible. As fortune had it, I moved to Tempe and hooked up with Jaxon through TakeLessons.com. He's a great instructor that is patient and won't ever make you feel bad about not having time to practice. He didn't immediately show off his amazing guitar playing ability, but instead directed all his attention at me, the student. His flexible teaching style helped me translate the music knowledge I already had onto the classical guitar. If you follow his methods, you'll be amazed at how fast you improve! I would highly recommend Jaxon to anyone even remotely thinking about playing classical guitar music. I have been playing neuvo flamenco for several years and I have had several guitar instructors. None of them come close to Jaxon. Most of my teachers were very good guitar players but not great at teaching - Jaxon is not only a great guitarist but a fantastic teacher. He has the ability to look at every aspect of my guitar playing (technique,posture, composition, etc) and greatly improve it. I highly recommend him to any level of guitarist. He will make you a better guitarist! I have been taking flamenco guitar lessons with Jaxon for a few months now. I am a beginner to flamenco, and had some technique challenges up front. He is amazing on guitar, and is able to watch my techniques and find the sticking points. It feels good to know that I'm getting it right early on, so that I don't develop bad habits. Highly recommend him.